Spotlight on: Are robots really stealing our jobs? An insurance firm in Japan has made more than 30 employees redundant and replaced them with an artificial intelligence system that can calculate payouts to policyholders. Fukoku Mutual Like Insurance believes it will increase productivity by 30% and see a return on investment in less than two years. 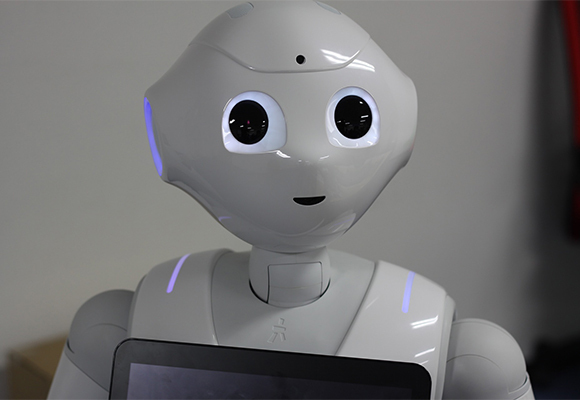 According to a report by the Nomura Research Institute, nearly half of all jobs in Japan could be performed by robots by 2035. Marco Vivarelli is optimistic about technological change in his article Innovation and employment. He writes, “Industrial and innovation policies that support research and product innovation, especially in high-tech sectors, can lead to the emergence of new firms and sectors—and new jobs." Finland has become the first country in Europe to pay its unemployed citizens an unconditional monthly sum. 102-year-old scientist wins right to continue working at Australian University. The CBI warns that UK firms must have barrier-free access to EU markets. Colleges are spending too much time concentrating on admissions. The EU is ambitious when it comes to its climate targets. By 2030, the region wants to cut at least 40% of greenhouse gas emissions (from 1990 levels), achieve a share for renewable energy of at least 27%, and improve energy efficiency by at least 27%. And this is only one stepping stone along its roadmap for a low-carbon economy until 2050, when emissions are supposed to be 80% below the 1990 levels. Continue reading. IZA Workshop on Social and Welfare Consequences of Unemployment, March 3-4. In the aftermath of the Great Recession unemployment rates remain high in many countries, with an increasing trend of long-term unemployment. Against this background we are pleased to invite submissions for the IZA Workshop on Social and Welfare Consequences of Unemployment. World Bank Social Protection Labor and Jobs Core Courses, March 6-17. Taking place in Washington DC, the two-week Core Courses will provide an in-depth understanding of the conceptual and practical issues involved in the development of programs on social assistance, social safety nets, pensions, social security, jobs, and migration. Call for applications: 20th IZA Summer School in Labor Economics, May 15-20. The objective of the Summer School is to bring together a large number of PhD students and senior lecturers to study new areas in labor economics. Students have the opportunity to present their work and discuss ideas with established researchers in a relaxed and open atmosphere. Submission deadline is January 15. Call for applications: 14th Annual Migration Meeting (AM²), May 26-27. Going into its 14th edition this year, the IZA Annual Migration Meeting aims at bringing together new and established migration researchers to discuss their most recent work in a constructive atmosphere. Deadline for submission is January 31. Call for applications: 16th IZA/SOLE Transatlantic Meeting of Labor Economists, June 22-25. We are pleased to announce the organization of the 16th IZA/SOLE Transatlantic Meeting of Labor Economists to be held at the Ammersee Conference Center in Bavaria, Germany. Deadline for submission is January 31. Call for papers: EALE 29th Annual Conference, September 21-23. EALE are pleased to invite all labor economists to submit papers for presentations at the 29th Annual Conference of the European Association of Labour Economists, held in St. Gallen, Switzerland. Submission deadline is February 1.